Most of you know this already. Perhaps a few of it have heard it but don’t believe it. 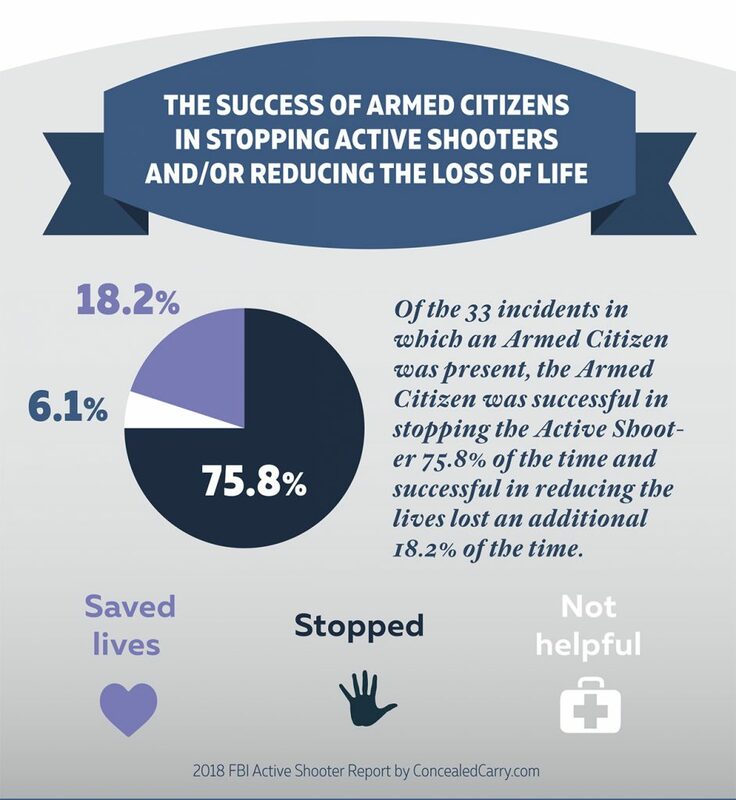 The armed citizen is overwhelmingly successful in ending or reducing the death toll in active shooter situations , over 90% of the time. Mitch you of all people should know that facts dont matter to these people. Like “Climate change” its basically a religion and you are an apostate who must be destroyed. If you are against more gun control laws, these days you are by definition a racist. Numbers do not matter to these people. Today in my paper there was a pro-gun control OpEd by the NY Daily News that pushed for the adoption of New York style gun laws across the nation in response to their being marginally more gun deaths last year than in years previous. But the same CDC study that had the total gun death number also had numbers showing that if you were Black you were more than 7 times likely to die from gun violence than if you were white (33 per 100,000 for blacks vs 3.8 per 100,000 for whites). The numbers speak for themselves, 3.8 gun deaths per 100,000 isn’t a crisis. Maybe 33 per 100,000 is, but those are not the numbers the anti-gun zealots are talking about. The number of blacks who die from gun violence are especially alarming since blacks are much less likely to be licensed gun owners than whites. You cannot look at these numbers and say that any crisis of gun deaths indicated by them is due to access to firearms, any more tha the primary cause of automobile deaths is access to automobiles.